Before you start, go to Taiga Tribe and login with your Taiga credentials. 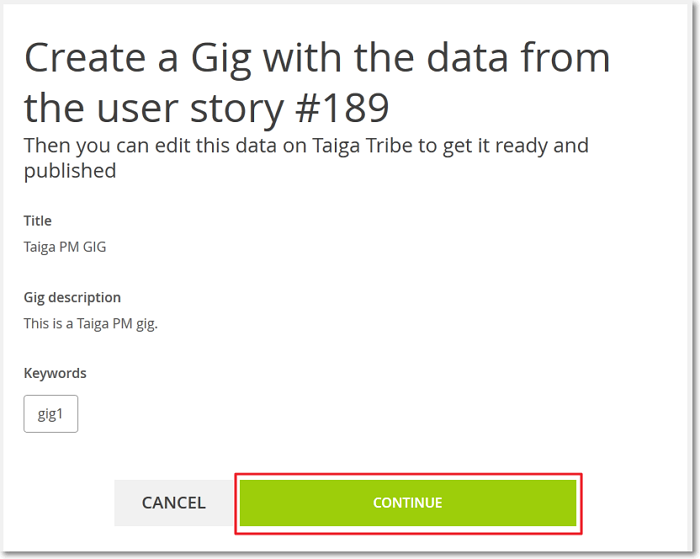 Note: After you login, you may be asked to select a Taiga project from which to import a User Story – you can skip this and continue with the next steps, or you can select a project, search for the User Story you want to publish as a gig and continue to step 2. On the Sidebar, click PUBLISH AS GIG IN TAIGA TRIBE. 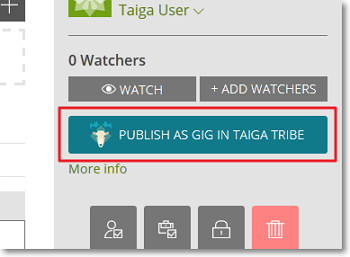 This action opens a Taiga Tribe page in a new browser window and you can choose if you want to continue or if you want to cancel.